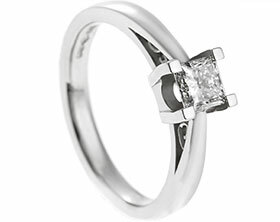 A unique 9ct white gold engagement ring featuring a central 3.8mm 0.24ct brilliant cut H SI diamond held in a six claw setting. 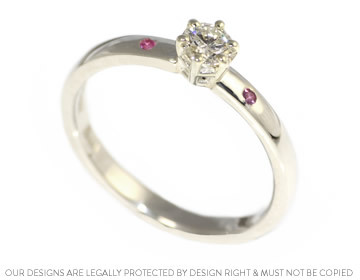 In the shoulders are two 1.2mm brilliant cut hot pink sapphires invisibly set which add a wonderful flash of colour to the design. 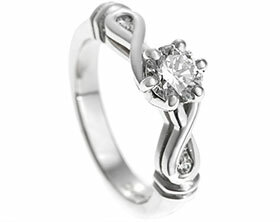 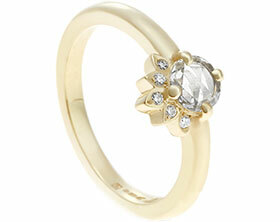 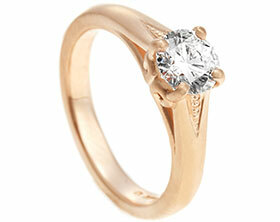 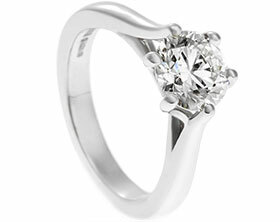 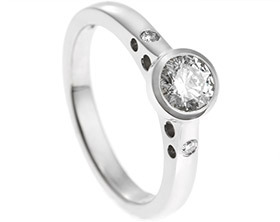 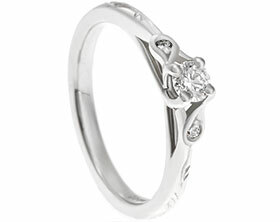 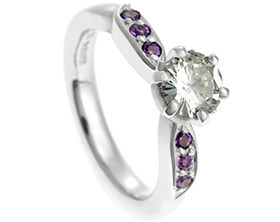 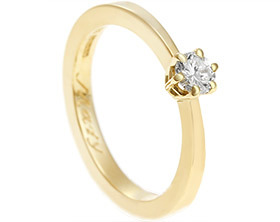 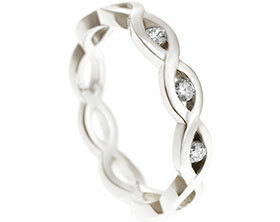 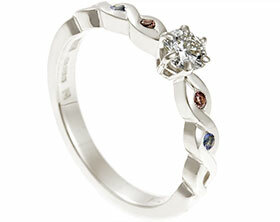 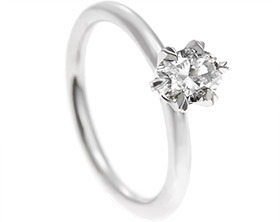 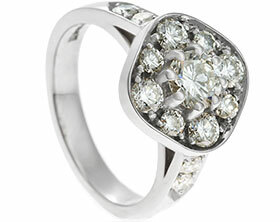 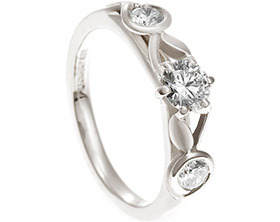 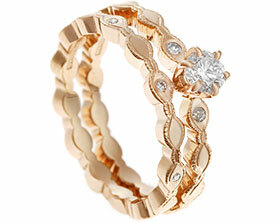 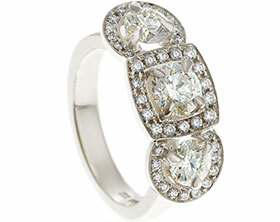 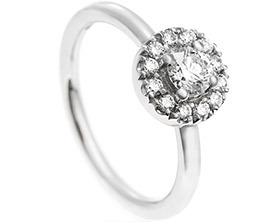 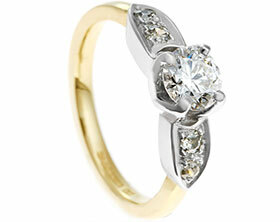 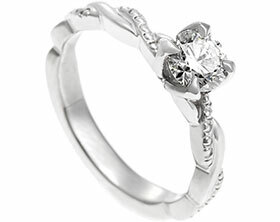 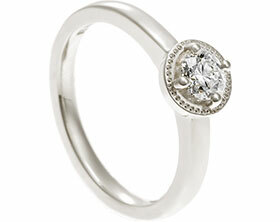 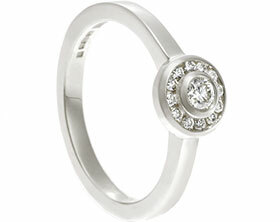 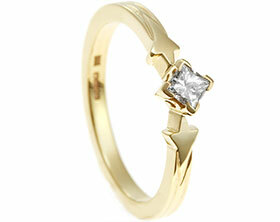 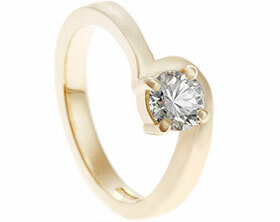 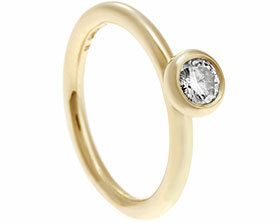 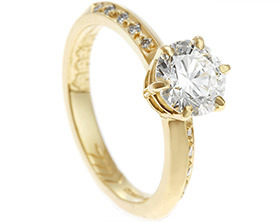 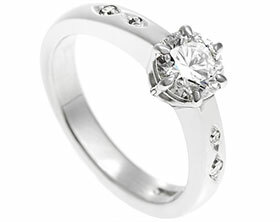 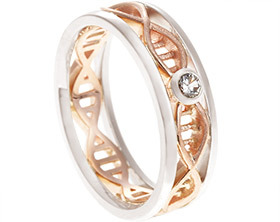 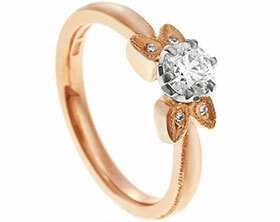 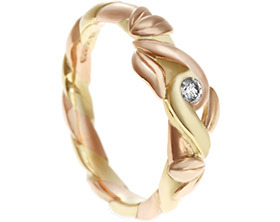 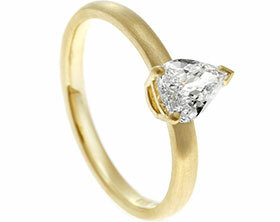 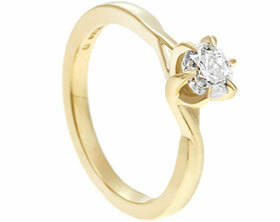 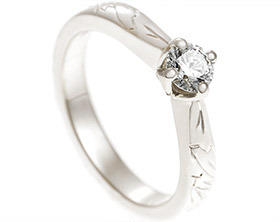 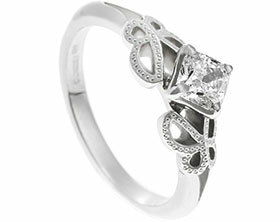 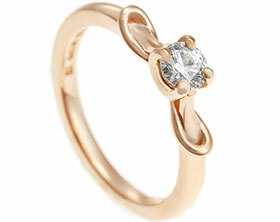 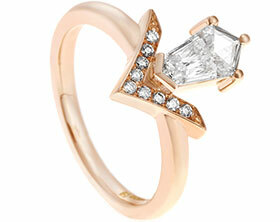 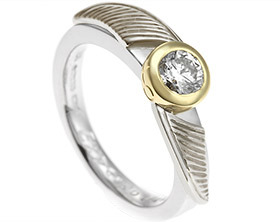 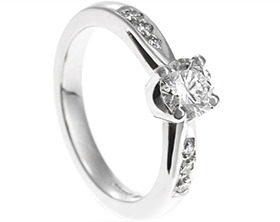 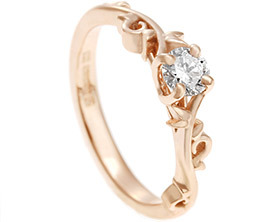 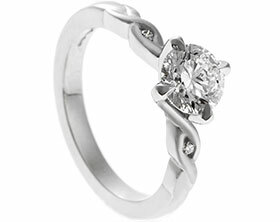 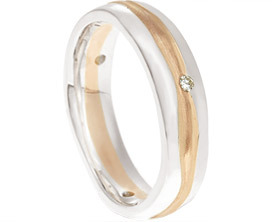 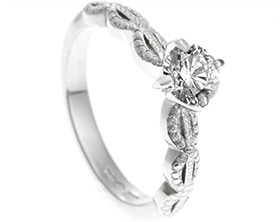 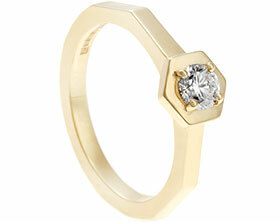 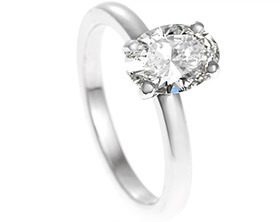 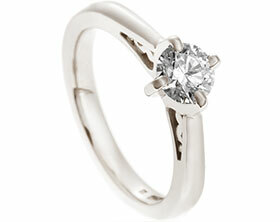 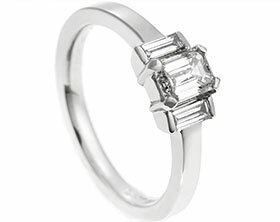 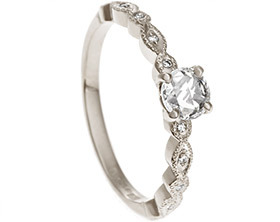 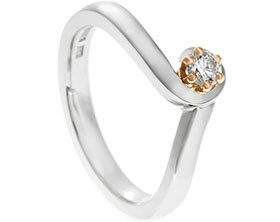 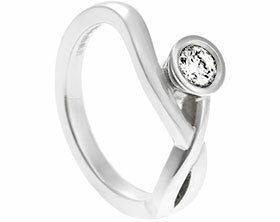 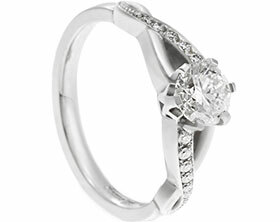 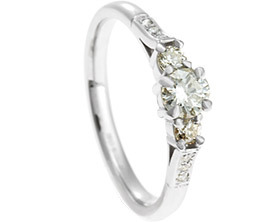 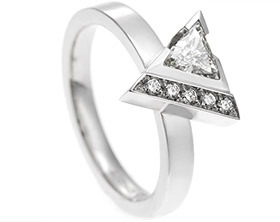 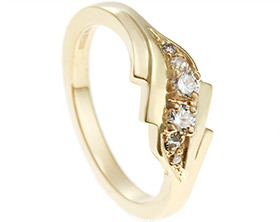 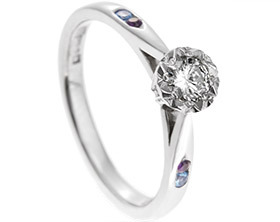 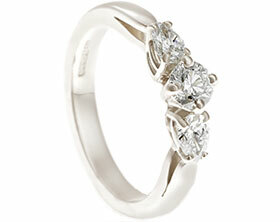 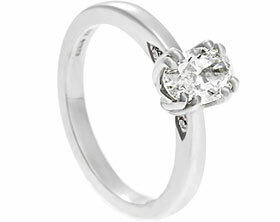 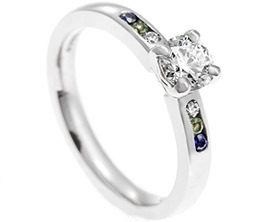 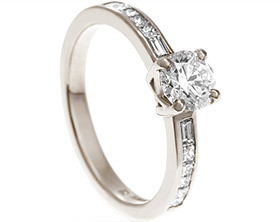 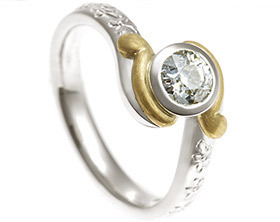 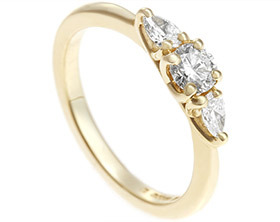 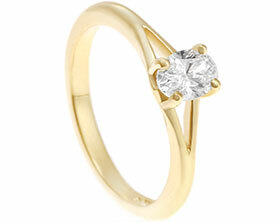 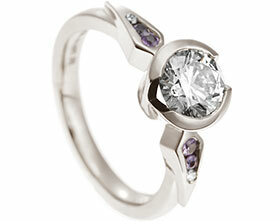 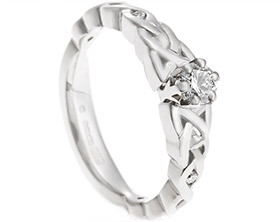 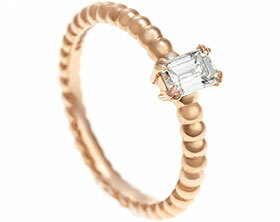 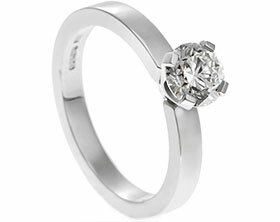 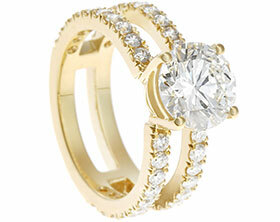 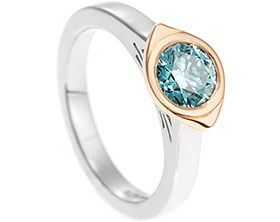 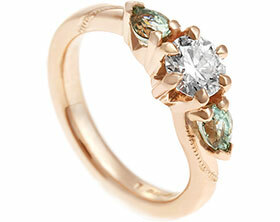 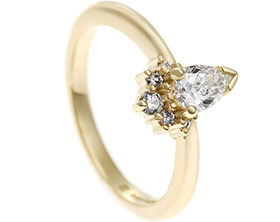 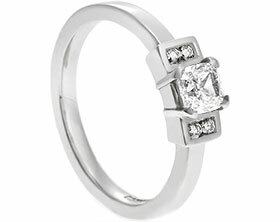 The delicate 2mm band has a D shaped profile and to finish the ring is polished to a high shine.